Craftster Community > CRAFTSTER CRAFT CHALLENGES > Archive of Past Craftster Challenge Entries > CHALLENGE 25 ENTRIES > Home? So, my hometown is Mount Juliet, TN. I moved there in 7th grade, but I never felt it was home until 9th grade. That was the year I joined the marching band. Band helped me connect with the town I have come to appreciate. I am now a music major at JSU in Jacksonville, AL. Again, it is the marching band that connected me to my school and community (and my fiance.) The Marching Southerners became my family away from family. I included real people versions of the uniforms. I hope you enjoy...this is my first project post, so I'm all nervous. I made mine, with lots of glitter and shinies. I like the first one the most, probably because it reminds me of the uniform I wore in highschool Marching band. I was in the pit too! YAY mallet players! 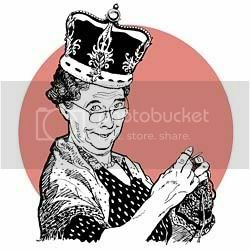 Knitting is a way of life. Wow your high school had enough money for uniforms? That's so cool. I played bass in the concert/marching band and we got sweatshirts. lol. Great job on representing the band kids, I know what you mean about feeling connected through the marching band, it's its own family. The uniforms are super cute! You did a really nice job making them look "real"! I loved marching band! When people ask where I met my husband, I usually say "this one time, at band camp" And its true! I was a flag and he was bari sax/bass drum. Good times! Yay JSU! I'm glad you think they look real enough...since you would have seen them in person! Marching band is the place to find a husband! I was in the pit and my fiance was/is a trumpet player (but I love him anyway ). Oh, and my maid of honor at our wedding this past summer started her speech with, "This one time, at band camp..." lol! It was hilarious because it was true! I love this idea! Way to honor the band. I moved halfway through my 10th grade year and joined the band at my new school in 11th grade. I met some of my closest friends and my first boyfriend through the band, and created wonderful memories that I still treasure. Thanks for the wonderful project. My Perty Thangs......If the green light is on, I am home!! MONSTER good luck coming my way! Marching band was the best time in my life! I have never been more proud of myself and my band pals. I played clarinet (and still have it) then twirled flag in color guard 11th and 12th grade. Our winter guard won state!! Amazing detail on your uniforms PERFECT! I have alot to share, all you gotta do is ask. Crochet, x-stitch, Ribbon embroidery, plastic canvas, beadwork, polymer clay, wire work, and now TATTING!! Please help me learn to knit, then I might be complete. reality is for people lacking an imagination.